Offering you a complete choice of products which include plastic tag seal machine. Plastic Seal Tag machine is the state of art machine for making seal tags used in garment industries. It is provided with an automatic foiling unit for both sides of the seal. 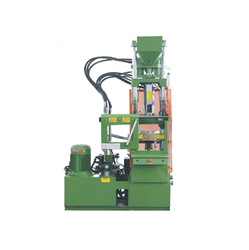 It is a fully automatic machine and can be only used for making string seal of various size and shape as per customer requirements. 8-14 pieces can drown at a time depending upon the size of the seal string. It is having all the safety features as per the international standards. Looking for Plastic Seal Tag Machine ?